Carlos Valdez is the Lead Faculty for the Contemporary Selling course at the brand new Integrated Business program and Lecturer in the Marketing Department of the College of Business Administration at the University of Central Florida, where he has taught courses in Digital Marketing, Integrated Marketing Communications, Principles of Marketing , Marketing Strategy and Contemporary Selling since 2010. Through his classes and with his students at UCF West, UCF Osceola and UCF Orlando, they have served more than 80 small businesses in Central Florida, and counting, with marketing consultation projects. Carlos was the Sales Director for Stukent Latin-America 2014-2015, a company that develops educational products in the area of Digital Marketing, like the first Internet marketing simulation and the e-book Internet Marketing Essentials of which he is co-author and translator of the Spanish edition. Carlos Valdez graduated from ITESM in 1992 with a major in Communications. 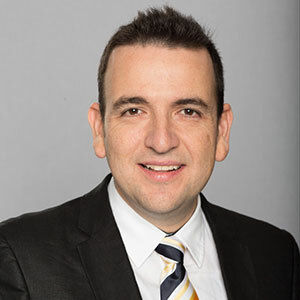 He received a Master’s Degree in Business Administration in 1996, in Marketing in 1999 and a PhD in Business Administration with concentration in Marketing in 2005, all from ITESM (EGADE School of Business). For his Doctoral degree he earned 24 graduate credits at University of Florida and he received the 2005 Doctoral Dissertation Award from the American Academy of Advertising (AAA). He has been a Visiting Professor at Florida State University in the Center for Hispanic Marketing and Chair of the Business Department at Keiser University. His international experience includes teaching face-to-face marketing courses and seminars in Mexico, Nicaragua and Peru. In his spare time, Carlos enjoys having fun with his family in recreational activities throughout Florida, especially at the beach. Authors:Carlos Valdez, Ph.D., Carranza, A., Hervitz, H.
Florida State University, Center for Hispanic Marketing Communications. Authors: Carlos Valdez, Ph.D., Korzenny, F.
In M. Hinner (Ed. ), The Interface of Business and Culture (pp.317-339). Frankfurt: Peter Lang. Journal of International Consumer Marketing, 22, 327-346. Authors: Villegas, J., Lemanski, J., Carlos Valdez, Ph.D.